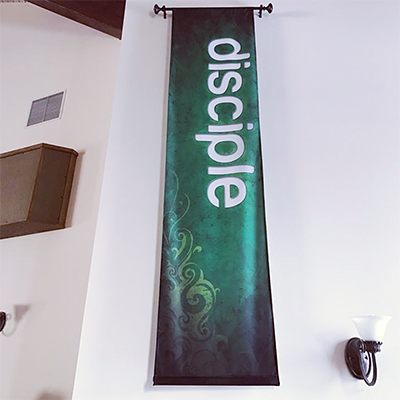 Choose from seven indoor banner sizes and a variety of materials - no matter what you select you can be sure that we only use the highest quality materials that are sure to last. 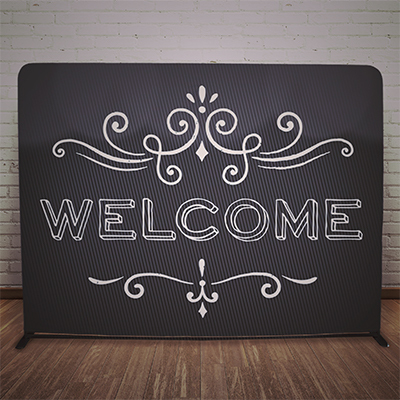 2' x 6' vertical: the most versatile size with a variety of finishing options including grommets in each of 4 corners for mounting to the Xstand or pole pockets at top and bottom for use with the Indoor 2-sided Banner stand . 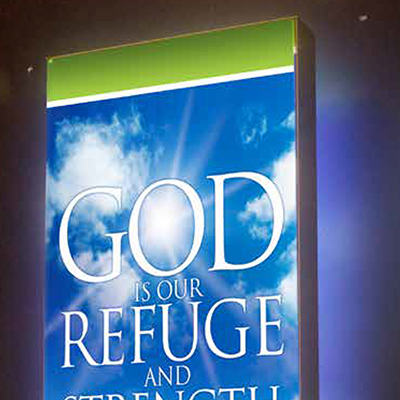 Roll-Up Banner available in two sizes: 2'7”x 6'7” or 4' x 6'7” installed in a retractable rollup stand. 3' x 5' vertical: comes with pole pockets at the top and bottom. Easy to hang using the Indoor 2-sided Banner stand, a Banner Rod Kit, or the hanging banner dowel set. 3' x 3' square: finish with grommets in each of 4 corners or with pole pockets - makes a great sign for directing traffic around your building. 2' x 6' and 3' x 5' vertical: come with pole pockets at the top and the bottom. 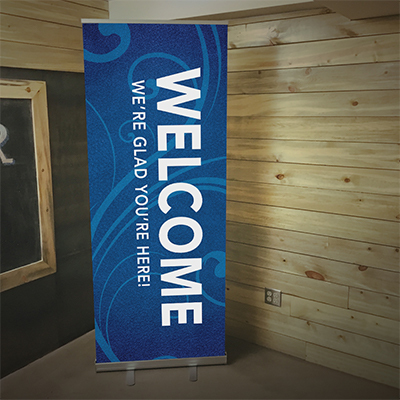 Fits on optional Indoor 2-sided Banner stand. 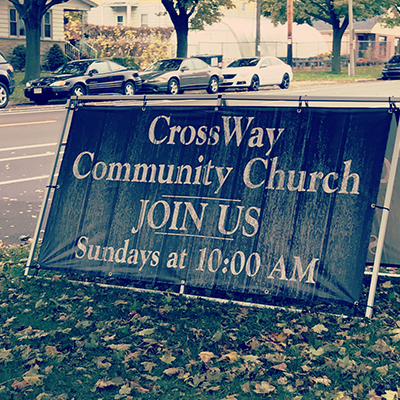 5' x 8' Wall Banner with pole pockets at the top and the bottom. Optional Banner Rod Kit available. Jumbo 9'8” x 7'2” Fabric banners can be hung behind your stage or in a classroom with optional Banner Rod Kit. Wrinkle-free, stretch material is printed using a dye-sublimation technique so colors are rich and bright. 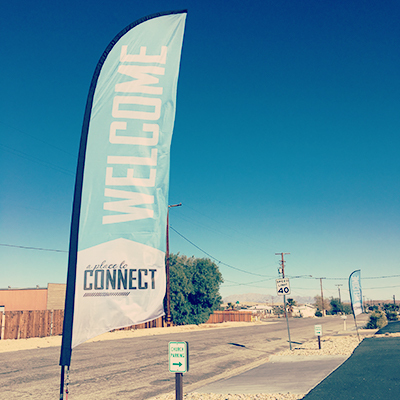 Banners can be printed on both sides with the same image. Choice of three sizes: 2' x 6', 2'7" x 6'7" and Jumbo 9'8” x 7'2”. Sleeve banners are sewn like a pillow case to slide over the Click-it Frames (sold separately) and cling tightly for a wrinkle-free, eye-catching results. Available in 2' x 6' size only. For use with dye-sublimation printing for bright, vivid colors that don't wash out when lit from behind. Caution: Adhesive failure can happen when temperatures are too hot or too cold. Smooth surfaces are required, textured/bumpy surfaces limit adhesion (i.e., no texture walls or cinder block). The larger the banner the more important the conditions become. Don't let it stick to itself - grab a friend to help put it up! Window Banners provide see-through graphics on perforated adhesive film allowing eye-catching graphics on one side and an unobstructed view from the other. 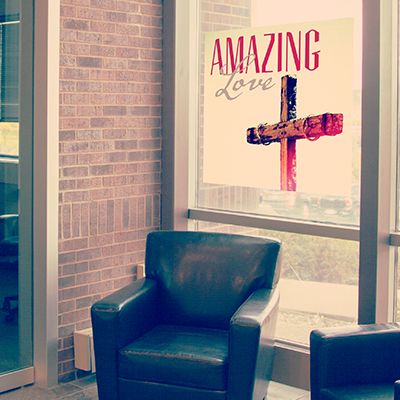 Virtually all glass surfaces now have the potential for welcoming visitors, promoting ministry involvement, and inspiring church members with God's word. Easy to remove just loosen a corner and pull. Lightpole Banners - These 2' x 5 banners are designed to be used on parking lot light poles using specially designed Lightpole Hardware Kits. Light-weight material is designed to provide maximum movement in the slightest breeze. To greatly extend the longevity of both the fabric and the print, it is recommended that, when possible, these flags are taken down and stored inside at night or when not in use. Optional, super-strong carbon fiber hardware sold separately.